Denham, United Kingdom, 2017-Oct-18 — /Travel PR News/ —InterContinental Hotels Group (IHG®), one of the world’s leading hotel companies, unveiled InterContinental Perth City Centre today – the 6th InterContinental hotel in Australia. 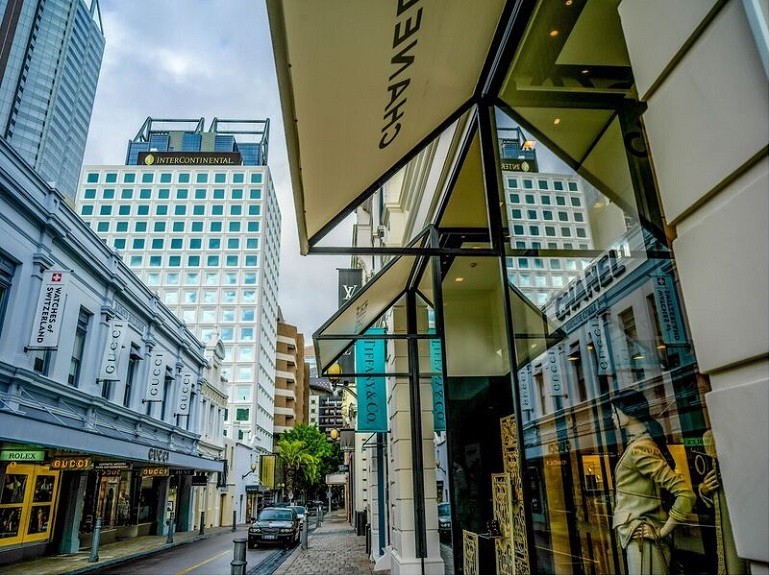 Nestled amidst ‘The King Street Precinct’ with a charming heritage streetscape of theatres, cafes and luxe retailers, the new 240-room property is the latest offering from InterContinental – the world’s first international luxury hotel group. Specially commissioned sculptures, paintings, bespoke ceramics and glass works by renowned WA artists feature together with a focus on regional food producers, growers, brewers and vignerons throughout the hotel’s stylish line up of restaurants and bars to proudly fly a local flag. Meanwhile, an elegant residential feel to the classic rooms, studios and penthouse in understated taupe, olive and bronze hues – all with views over Perth’s cityscape – combined with a dedicated Club InterContinental ramp up the worldly sophistication factor. Club InterContinental guests have the exclusive benefit of retreating to the top floor, a sweeping space offering a la carte breakfast, all day refreshments, high tea service in the afternoon and canapés and drinks from sunset. The hotel’s collection of restaurants and bars are already the talk of the town, whetting appetites for new city places to meet for espresso to cocktails, tapas to longer affairs. From food-truck concept eatery Graffiti where great coffee, and gourmet-to-go bites are served from a street art styled roller door; to Heno & Rey a slick reinterpretation of a tapas bar spilling on to Hay and King Streets offering just caught seafood, charcuterie, small bites and larger plates with sangria on tap and local wines; as well as The Loft Lounge perched on the hotel’s first floor for early morning pastries, refined high tea service come afternoons or ‘InterContinental Worldly Classic’ cocktails anytime while reclining inside or alfresco on the terrace – all are now welcoming hotel guests and locals alike. Ascua, the moody ground floor restaurant is a dramatic new take on the classic grill, is set to open 1st November. Spanish for ‘ember’, a striking open kitchen will be the focal point for showcasing the preparation of aged beef and meats, while intimate banquette seating and moody surrounds will pair with service from Ascua’s sommelier. This entry was posted in Hospitality, Hotels, Travel, Travel Management, Travel Services and tagged 6th InterContinental hotel in Australia, Adam McDonald, IHG, InterContinental Perth City Centre. Bookmark the permalink.